WiLD THANG! - The Grand Finale of NYC PRIDE 2013 at The Legendary MARQUEE Nightclub! 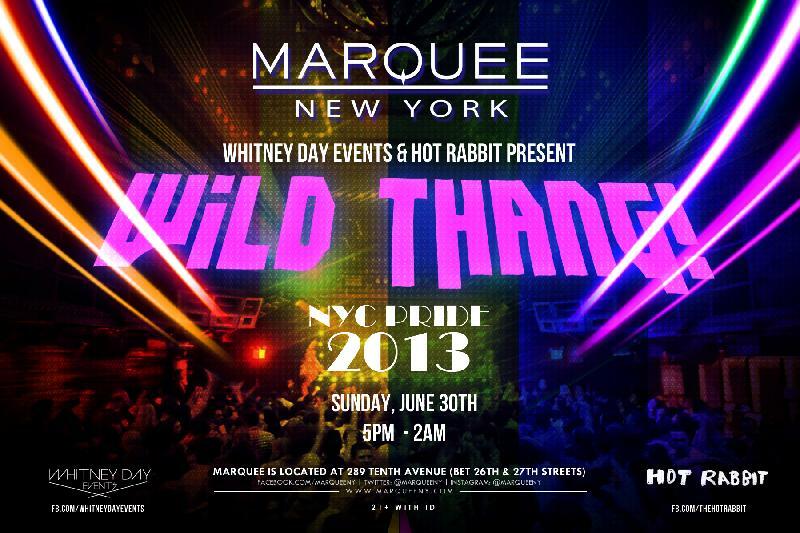 Whitney Day Events & Hot Rabbit Team-Up to Bring you the #1 Pride Party at NYC's #1 Nightclub on our Favorite Day of the Year - PRIDE SUNDAY!! Get Ready to Go ALL OUT & Party Hard with Thousands of Diverse, Beautiful, Energetic LGBTQs!